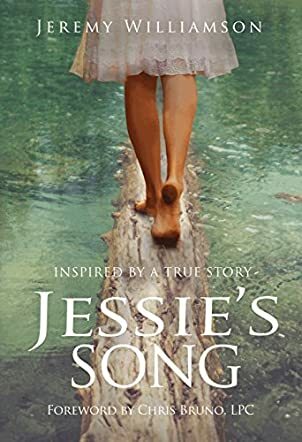 Jessie’s Song by Jeremy Williamson is a tender story about a young girl who, despite being abused, learns how to love herself. Twelve-year-old Jessie comes from a family of eight. Her father has been sexually abusing her sisters, but before he could abuse her, she takes her sister, Katherine, and runs away. Not long after, she is put into the foster care system, where she is sexually abused by her foster parent, Adam. Despite the fact that she is adopted into a wonderful family, she still hates herself, hates the little girl who was abused, the little girl she sees as nothing but a whore. This changes when she meets a man named Jason, who shows her that she is loved more than she could possibly imagine. It’s clear Jessie struggled with her past. She kept drifting from one place to the next, all the while hating the fact that she was taken advantage of, that she was used. I kept hoping over and over that she would find some semblance of peace, but even that was only an illusion. She bore the weight of the guilt, dealing with the doubt her father had instilled in her, that she would amount to nothing more than a piece of meat. Her mother tried the best she could, but it wasn’t enough. Her siblings were also helpless. She was then shipped from one horrific situation to the next, but somehow, someway, she managed to move on with her life. The fact that God took the shape of the kindly neighbor, and even her dog, if only to comfort her, was encouraging. It allowed me to catch a glimpse of the blessings in disguise, and appreciate the strength Jessie had. It was inspiring, to say the least. What’s even more striking is that God is with these people. He isn’t sitting in some wealthy church, listening to the latest gossip, or a fancy dinner with pot roast; He’s there, with the broken, the hopeless. I did think the story was a bit rushed to some degree. The ending could have been more fleshed out as well, but despite that, it was satisfying nonetheless. Williamson writes a wonderful story about a young girl who overcomes her traumatic past, all the while regaining her faith in God. As such, I would recommend this book to readers of all ages.